An Uber driver who was picking up a client at Tampa International Airport on Friday suffered an onslaught of verbal attacks after the rider discovered he didn't speak English. Armando Valdés, who is Cuban, is seen in the video looking confused as the client argues with him about wanting to cancel the ride. Valdés is unable to communicate properly in English and the unidentified rider does not want to hear the man speak any Spanish. In the video taken by an onlooker that was not identified, the rider apparently loses his patience and tells Valdés, "You're done!" before walking to the rear of the vehicle to take a photo of his license plate. The man then walks around to the side of the van where Valdés is standing and continues to scream obscenities at him. He gets in his face and at one point makes a gesture as if to hit him. 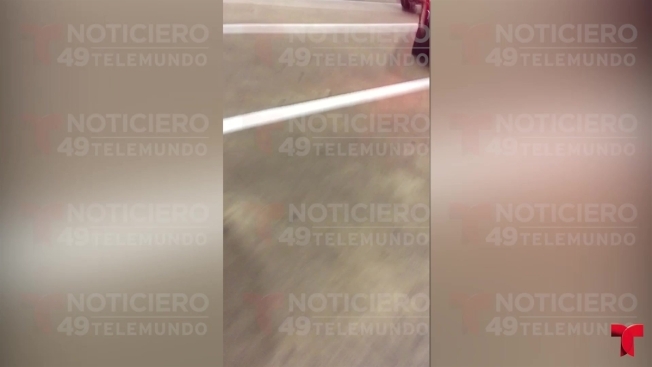 Before the video ends, the rider violently slams the car door and Valdés calls after him. Without turning around, the man grabs his luggage and leaves the scene. Telemundo 49 learned that the victim has not yet filed a complaint but plans to seek legal action soon.